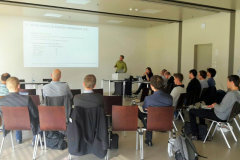 The fourth Task 54 experts meeting was hosted by HSR-SPF in Rapperswil, Switzerland from 3-4 May 2017. Please note that the 4th experts meeting will take place from 3-4 May 2017 at HSR-SPF in Rapperswil, Switzerland. Rooms can be booked till the 3 April 2017 by indicating the key word: Task54. Please try to keep this deadline as the rooms cannot be held after this date. 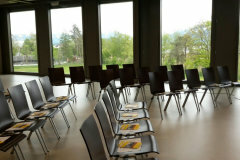 One near Bern: 3255 Rapperswil BE (Kanton Bern). The “wrong” one! Additional information on how to get to the hotels and campus will be provided shortly before the meeting. For those of you who already want to book their flights we suggest Zurich as destination airport as Rapperswil is very close.